Also serving communities of Howard, Suamico, Peshtigo. There are 12 Memory Care Facilities in the Green Bay area, with 8 in Green Bay and 4 nearby. The average cost of memory care in Green Bay is $5,047 per month. This is higher than the national median of $4,650. Cheaper nearby regions include De Pere with an average starting cost of $4,600. To help you with your search, browse the 2 reviews below for memory care facilities in Green Bay. Better rated regions include De Pere with an average rating of 4.5 out of 5 stars. Caring.com has helped thousands of families find high-quality senior care. To speak with one of our Family Advisors about memory care options and costs in Green Bay, call (855) 863-8283. Green Bay, a city in the northeastern region of Wisconsin, is home to more than 105,000 people, about 12 percent of whom are 65 and over. According to the Alzheimer's Association, about 110,000 seniors in Wisconsin have Alzheimer's disease, and some of them are living in Green Bay. To support local seniors with Alzheimer's disease and other forms of dementia, Brown County has made strides to build a dementia-friendly community. Families looking for memory care for their loved ones will find an abundance of options in Green Bay. There are two dozen memory care facilities within Green Bay, as well as an additional eight in nearby cities. 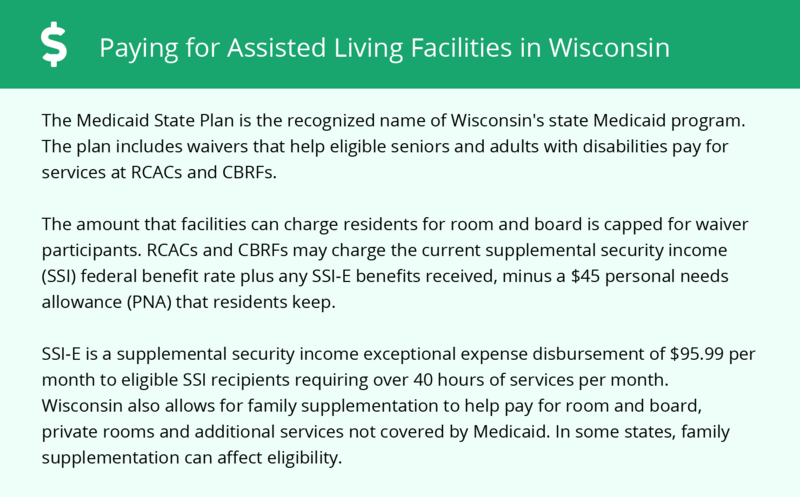 While some of these facilities occupy their own building, most are situated within community-based residential facilities, which are licensed through the Wisconsin Department of Health Services, Bureau of Assisted Living, Division of Quality Assurance. 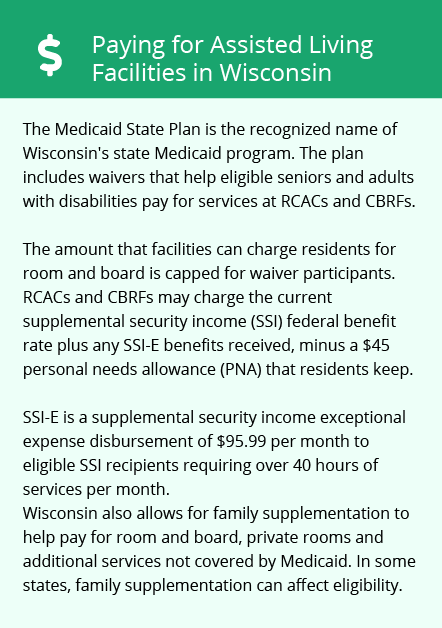 Seniors in Green Bay pay income taxes on disbursements received from private pensions and withdrawals from retirement savings accounts, which may affect how much money can be put toward memory care. Public pensions and Social Security income are tax-exempt, however. Green Bay's summers are warm and comfortable with July highs around 81 degrees and lows around 62 degrees. The cold season lasts from early December to early March, with highs between 26 and 37 degrees and lows between 12 degrees and 22 degrees. This may be a consideration for seniors who don't like cold temperatures. Brown County's air quality is fair. The American Lung Association gave the county a C for ozone pollution, a B for 24-hour particle pollution and a passing grade for annual particle pollution. Seniors with COPD or heart disease may want to speak to their doctor to determine how ozone and particle pollution impacts their health. The Green Bay area is home to world-class medical facilities, including those specializing in brain health and dementia care, such as St. Vincent Hospital and Bellin Hospital Green Bay, in the event of medical emergencies or illness. Memory Care costs in Green Bay start around $5,012 per month on average, while the nationwide average cost of memory care is $4,798 per month. It’s important to note that memory care rates in Green Bay and the surrounding suburbs can vary widely based on factors such as location, the level of care needed, apartment size and the types of amenities offered at each community. To see a list of free memory care resources in Green Bay, please visit our Assisted Living in Wisconsin page. Green Bay-area assisted living communities must adhere to the comprehensive set of state laws and regulations that all assisted living communities in Wisconsin are required to follow. Visit our Memory Care in Wisconsin page for more information about these laws.